When you think of a cake batter smoothie, you probably wouldn’t think of the word “healthy.” But this recipe is actually low in sugar, high in fiber, gluten free and vegan! If you’re on a diet but pine for the taste of cake more than you’d like to admit, then this smoothie recipe from Dessert with Benefits might be just what you need to quiet those cravings. All you do to make this tasty treat is throw all ingredients (minus the sprinkles) into the blender and puree for about 30 seconds. If you want to make an extra thick milkshake, then also toss some ice cubes in there. 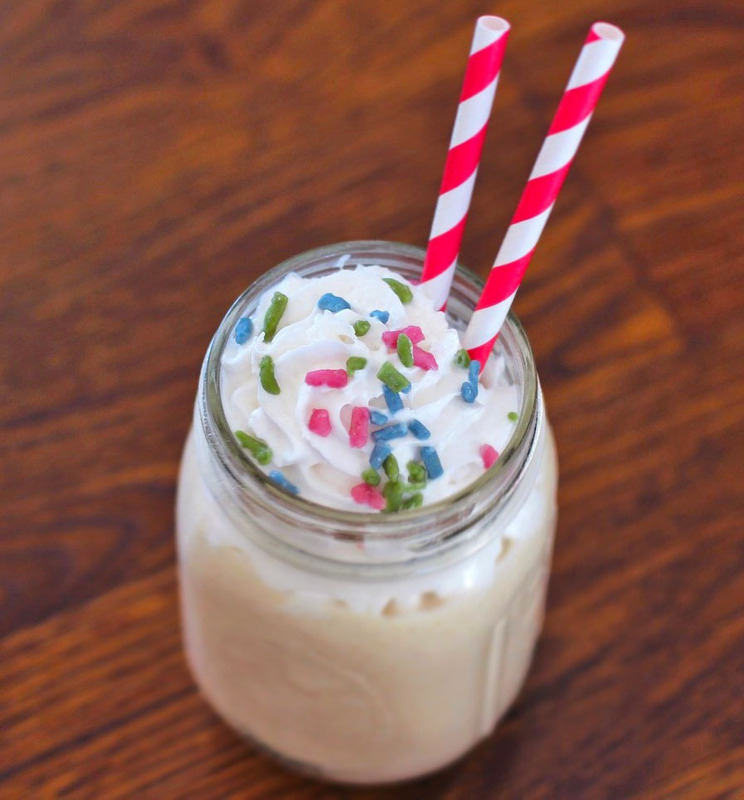 Pour your milkshake(s) into a glass, top with sprinkles and serve!